Whether you flip through the TV channels or your favorite magazine, there are two hair trends you’ll notice that are back in full force this fall: bangs and the bob. This excites me because I love both and my hair type work with both of these styles. I am just now getting the hang of styling it correctly and I still miss my long hair from time to time, so before you go and chop it all – make sure you are ready. Really ready. I mean, yes, it’s just hair, but also IT’S YOUR HAIR. Trends can be dangerous and make you do all kinds of crazy things, so just because it’s trendy, does not in any way mean it’s for you. I do love my bob and my bangs are side swept and long enough to wear them up or down, so they work for me. When talk show host Kelly Ripa debuted her new hair on Live with Kelly and Michael, she was the talk of social media. People either loved it or hated it. 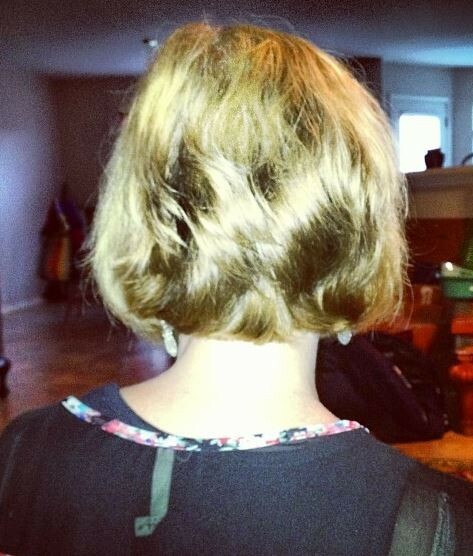 She had pretty long hair and went with a bob cut. I think she looks great and it seems with each show it’s styled even better. 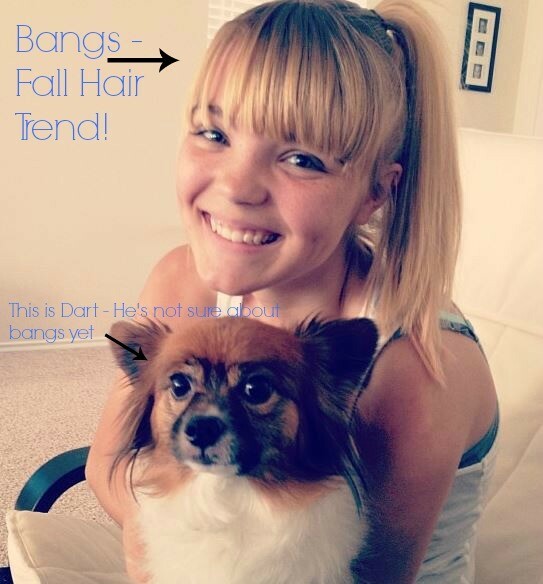 The other trend is bangs and my daughter embraced this trend before school started. It was one of the best hair decisions she’s made and she just looks absolutely gorgeous. Yes, the Papillon named Dart is adorable too right? Celebrities have grabbed onto this trend like crazy. Zoey Deschanel has always been known for her bangs and so has Emma Stone. Others who have been seen sporting this trend lately are Lea Michele, Kim Kardashian and Kerry Washington. Are you looking for a hair style change for the fall? Are you going to go drastic or subtle – trendy or not at all?